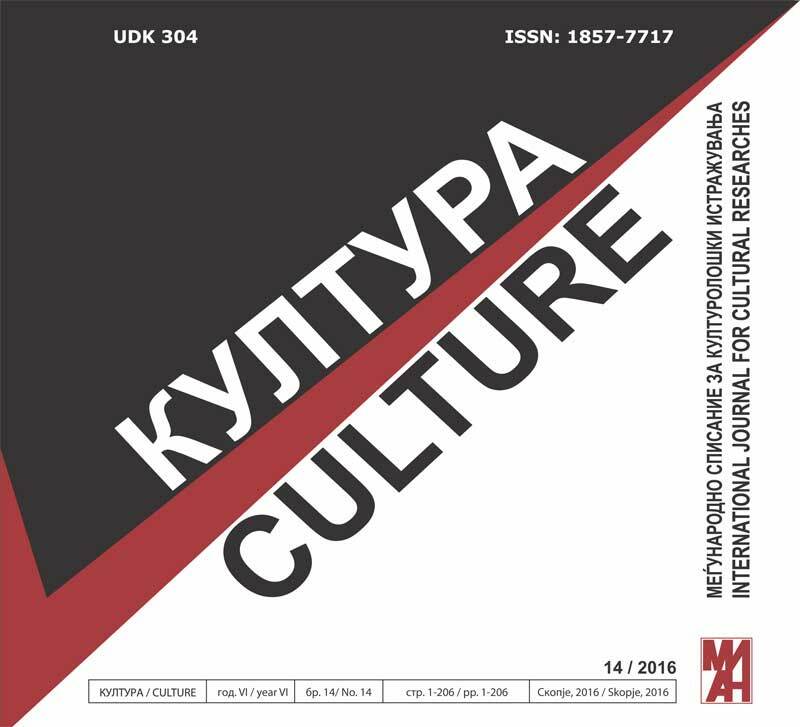 This edition of the Culture/Култура journal, is dedicated to the topic of the concepts of culture and identity. The editorial board felt compelled to publish a selection of the papers presented at the Third International Conference of the Center for Culture and Cultural Studies, which took place in Skopje (Macedonia), in September 2015. The concepts of culture and identity have insofar been argued from various perspectives. However, due to our rapidly changing world, these two concepts, in their 21st century-situatedness require new considerations and academic approaches. The two terms, in and of themselves, are rather vast and complex. Namely, they carry across, oftentimes, opposing views and meanings. Along those lines, this issue aims at: 1) unearthing a better framework for the processes of identity-formation, be it individual or collective; 2) evaluating the interactions existing between culture and identity; 3) examining the role culture plays in identity-formation, i.e., its development, integration and assimilation, whilst creating an interdisciplinary form for the presentation of the new advances and research results in the respective fields of Identity and Culture. Particular emphasis will be placed on examining the depth and complexity of said identity processes and domains, when viewed from the perspectives of several different disciplines, theoretical schools and empirical approaches.